The following high-protein vegetables will do their best to get you on track to reach your protein requirement for the day. Compared to animal sources, vegetables have a bit of trouble keeping up in the protein department, but there are some that contain respectable amounts of protein. Be sure to calculate your specific protein needs so you know just how much of your daily value you’re getting from each one. In order to come close to your daily recommended value of protein you’ll need to eat an assortment of vegetables to get the job done, or if your caring for an elderly you may want to do the same for them too. If you’re vegetarian or vegan you may also want to consider other non-meat sources of protein in addition to vegetables. Peas bring with them a good amount of protein, giving you 10% of what you need each day. They are also very tasty when you add a bit of ghee to a side of them, and they add a nice flavour and texture to many recipes. 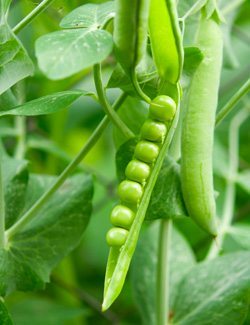 Peas are also a good source of potassium and magnesium, two important minerals the body needs to properly carry out basic functions. Be sure to include peas as part of a larger approach at a healthy diet and lifestyle. The Vitamin C content of peas is pretty impressive, and rivals oranges in a side by side comparison. It’s surprising that a vegetable has both a Vitamin C and protein content, as we typically see this in fruits and meats respectively. How to eat more of foods rich in Protein: Peas are a quintessential side dish, and they can complement any main dish. They’re also a popular addition to casseroles and vegetable soups. Kale has been making the news quite regularly in regards to its many healthy qualities, and protein is definitely among them. It’s not every day that you find a vegetable that provides almost a tenth of what you need each day in a single serving. 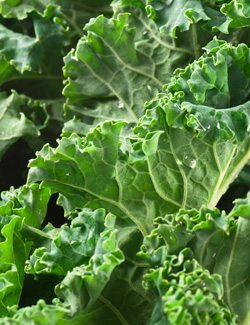 Kale also gets credit for being high in fibre, as well as providing more Vitamin C than an orange. It’s also wildly high in the antioxidant Vitamin A, and the combination of Vitamins A and C is a force to be reckoned with within the body. Kale is also high in minerals, which often gets overlooked with all of its protein, fibre, and phytonutrients. Kale comes in many forms, with curly kale being the most popular, baby kale working great in salads, and even a type called dinosaur kale with its own unique taste and look. How to eat more of foods rich in Protein: Kale can be used wherever you’d normally use spinach, and also has qualities spinach doesn’t have, like the ability to be made into a tasty chip via a kale chip recipe. Brussels sprouts get a high grade for their protein content and join kale as the other cruciferous vegetable to land a spot on our Top 5. Cruciferous vegetables are consistently being lauded for their anti-cancer and heart disease prevention properties. It’s not often that they’re mentioned for their high protein content, but they make up a big part of our list of 15 foods high in protein. 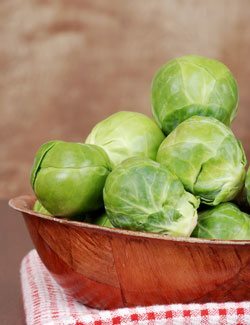 Brussels sprouts are off the charts when it comes to their Vitamin C content, so you’re not just getting a good source of protein, you’re also helping your immune system function at its best. How to eat more of foods rich in Protein: If you’re not a fan of Brussels sprouts, perhaps you just haven’t had them the right way yet. Try roasting them with a little olive oil and balsamic vinegar until they are tender. You may find that you actually like them. They’re simply too nutritious not to give them a second chance. 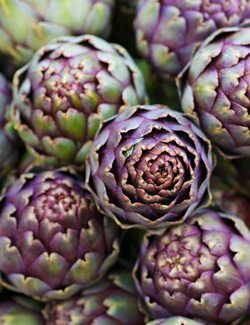 Artichokes usually get credited for their high fibre content, so they’re a bit of a sleeping giant when it comes to how much protein they contain. Ranking in the top five vegetables with protein is pretty impressive, and artichokes even manage to edge out spinach, a well-known protein provider. It’s fun to discover fresh artichokes if all you’ve ever known is the pickled artichoke hearts you can find in jars in stores. Try getting a fresh artichoke and learn how to prepare it via free YouTube videos. You’ll be glad you did because this is one vegetable that often gets overlooked, but contains too many healthy qualities to ignore. How to eat more of foods rich in Protein: Artichokes can be used in a variety of ways, from contributing to a dip to topping a salad or served up alongside the main dish. You can roast big batches of artichokes and then store them for the week ahead so they’ll always be ready. Perhaps this is why Popeye ate so much spinach and got stronger as a result. Spinach is an excellent source of protein for a vegetable, which can help you build lean muscle when mixed with resistance training. When you eat spinach, you don’t need to focus on any one feature it has, you can simply be content knowing that you’re eating one of the most nutrient-dense veggies on the planet. It’s packed with minerals and phytonutrients that will help your body in many ways. It’s also a good source of fibre, so not only will it protect you with its antioxidants, but it will help keep your digestive system humming along. That’s something that can’t be said for animal-based protein sources. How to eat more of foods rich in Protein: Spinach is pretty much the default ingredient of a green smoothie, and not only will you be adding the green colour with it, you’ll be adding plenty of drinkable protein at the same time. Broccoli is a wonder food that can seemingly do no wrong. Not only is it promoted on most diet plans as a way to help you lose weight, but it’s also listed on most healthy foods lists for all of the good it does the body. 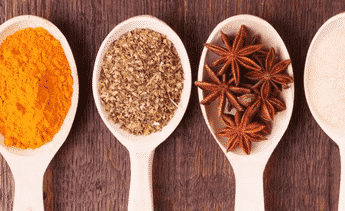 You can use it as a way to boost your overall protein intake, and since it pairs well with just about any meaty entree you can help add to the protein on the plate. It’s also providing you with fibre, which will help your digestive system and keep you regular, a vital component to good health. 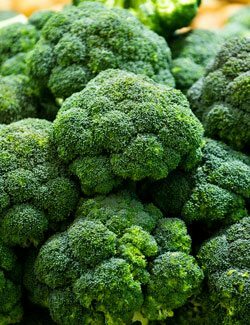 Broccoli is an excellent source of Vitamin C, and while it only provides a fraction of the protein you need each day, it will deliver a full day’s supply of Vitamin C in the same 100 gram serving. All the more reason to add broccoli to your regular menu. How to eat more of foods rich in Protein: Broccoli plays well with other foods, and can even be blended up in a smoothie to disguise its flavour with sweet fruits if you don’t like the taste. If you’re a fan of broccoli, trying roasting it with a little olive oil, garlic, and lemon juice. Watercress may not be winning any popularity awards, but it’s high time that it gets more recognition for being a tasty alternative to spinach and kale when you want something a bit different, but still want the benefits of a leafy green. While it doesn’t quite measure up to spinach on the protein scale, it’s nevertheless a good source, and offers many of the same benefits as spinach, albeit on a smaller scale. It has a peppery flavour to it that you simply don’t get from spinach, and is one way to give your palate something new. 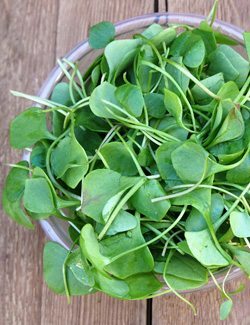 Watercress is not only a good source of vegetable protein, but it ranks highly in Vitamin C and has a bit of fibre in it as well. How to eat more of foods rich in Protein: You can use watercress in much the same way you’d use spinach or kale. 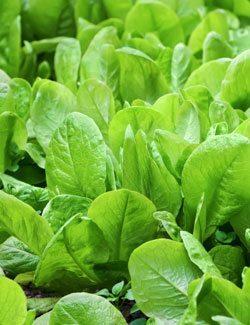 It works great mixed with other leafy greens in a salad, used in a green smoothie, or all by itself as a salad base. Asparagus has a certain fanciness to it that makes you feel like you’re eating something special. Perhaps its the spear-like shape, or just its reputation as being a healthy vegetable. It’s providing a somewhat modest amount of protein compared to some vegetables listed here, but it can still help with your overall intake. You aren’t just getting some protein to add to your daily tally, you’re getting fibre, vitamins, and minerals like folate and chromium. 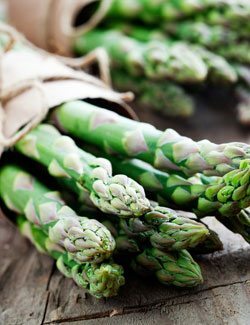 You can feel good about adding asparagus to your plate, as it’s one vegetable with a broad nutritional profile. Asparagus is best eaten in the spring and summer months when the body needs will use it to help detoxify itself. Coincidentally this is when asparagus is in season and will taste the freshest. How to eat more of foods rich in Protein: Asparagus is one of those veggies that you can serve up all by itself and it works as a satisfying side dish. One way to get plenty of protein is to serve it next to a fillet of salmon. You’ll get fibre, protein, omega-3s all from one meal. Potatoes are typically eaten as a carbohydrate because of their starchiness, and you’ll likely end up adding a vegetable side to round out the meal. But they’re classified as a vegetable, and they add some protein to your diet, although a relatively small amount compared to kale or peas. Potatoes are easy to add to your diet, as they go well with a myriad of meaty main dishes and help to bring balance to your plate. 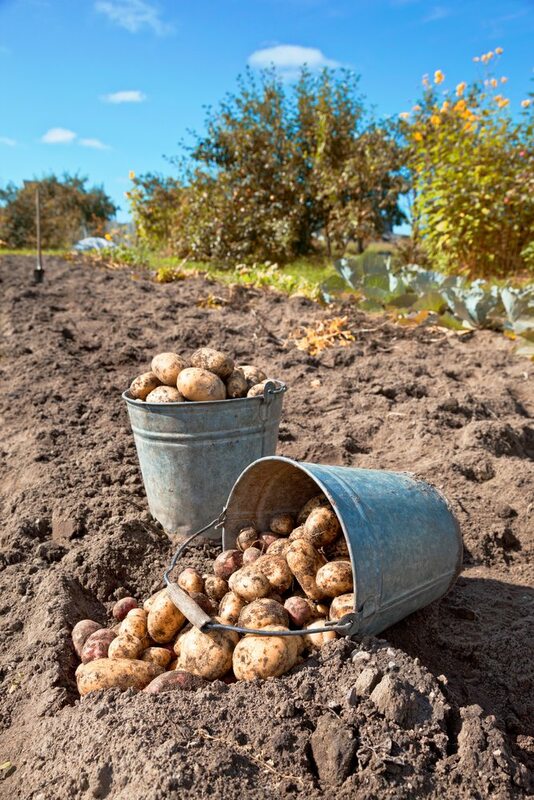 They are not just a good source of vegetable protein, they’re also full of phytochemicals, as well as Vitamin B-6, so you’ll be getting additional benefits by eating them, and it’s time to reevaluate white potatoes if you gave them the axe during the low-carb diet fad. How to eat more of foods rich in Protein: Potatoes can be a healthy addition to your diet, you just have to make sure you’re not consuming them in fried form, their most popular form. Bake your potatoes, or boil them up and mash them. Add them to chowders, or bake up fries or chips with them. 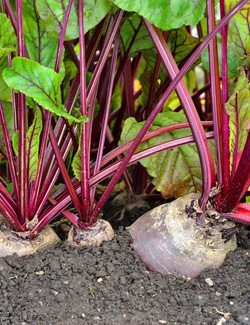 Beets are a good source of vegetable protein, as well as fibre, magnesium, iron, and vitamins. They have a cleansing effect on the body, and as a root vegetable, they are great to eat during the winter and spring months. Perhaps you’re only familiar with pickled beets, the kind found in jars at the store. Instead of getting those, buy fresh beets from the produce section and prepare them yourself. You’ll be getting more nutrients this way. Beetroot contains a pretty exclusive antioxidant called betalains, and you should seriously consider adding more beets to your diet since betalains can help reduce the levels of bad cholesterol in the body and also have anti-inflammatory properties. How to eat more of foods rich in Protein: Beetroot can take a little getting used to if you haven’t used it in your cooking before. It’s best to roast it until it gets nice and tender, and then it can be eaten straight up to experience all its flavour. If you’ve only eaten pickled beets before, you’re in for a treat with roasted fresh beets. Cauliflower often takes the backseat to broccoli in terms of nutritional awareness, but it contains plenty of benefits and should be added to your diet for all of the good it does. Its protein content may not be through the roof like some other veggies, but it will still help you reach your goal for the day. 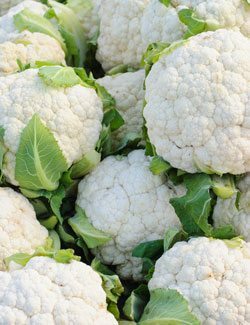 Cauliflower possesses antioxidants and has a detoxifying effect on the body, and is part of the cruciferous class of vegetables which includes kale, cabbage, and Brussels sprouts. These types of vegetables are often lauded for their anti-cancer and anti-inflammatory properties. They’re also known for improving your digestion. How to eat more of foods rich in Protein: There are plenty of unique ways to get more cauliflower into your life. It’s so versatile that it can be minced up into rice-sized pieces as an alternative to rice with more protein per bite. You can also mash it up and create a pizza crust out of it if you’re trying to steer clear of gluten and grains. Cabbage is a vegetable whose health benefits are well-known but isn’t often credited for its protein content. It doesn’t contain a large amount of protein, but it is still enough to help the cause. We normally think of oranges as a good source of Vitamin C and a boost to our immune systems. But cabbage also provides a respectable amount of this important vitamin. Cabbage is a good source of fibre and is known for its anti-cancer benefits. There’s more than one reason why you should start eating more cabbage, and its protein content pales in comparison to the other benefits it provides. How to eat more of it: Arguably the tastiest and easiest way to enjoy more cabbage is to make a cabbage soup out of it. 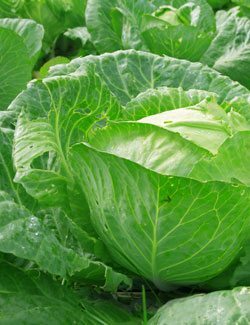 This ensures that you’ll be getting fully cooked cabbage, and it will be easier to digest, while still providing some protein, and giving you fibre and other good things for your body. Eggplant may not win any awards for being the biggest protein source, but it can be used in conjunction with other vegetables, fruits, meats, and more to get you to your target protein number. 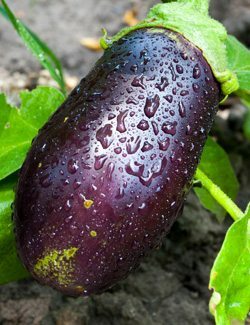 When you eat eggplant you’re also getting a good supply of fibre and a bit of potassium. The beauty of eating vegetables is that you’re not just going to get one thing from them, most vegetables contain an array of vitamins and minerals so you’re getting multiple benefits. Eggplant is a nightshade vegetable, so if you have a sensitivity to these you’ll want to avoid using it, or limit your intake. 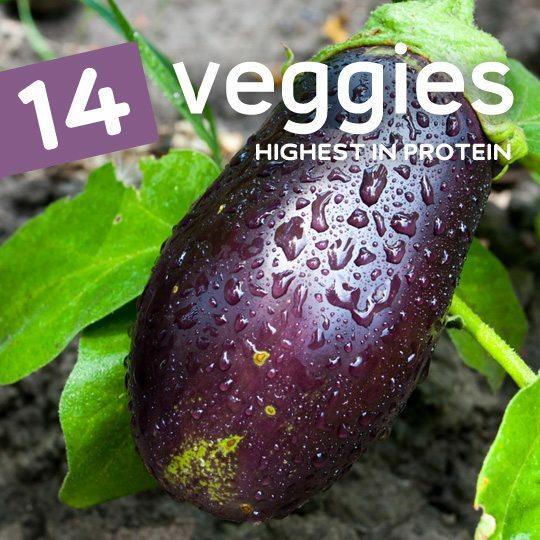 There are plenty of vegetable protein sources that are not in the nightshade family, so there’s no need to eat it just for its relatively small protein content. How to eat more of it: Eggplant parmesan is a fun way to eat more eggplant, and can also be effective if you’re trying to reduce the amount of meat in your diet. It also makes a great side dish and can be easily prepared by slicing it into circles and sauteing it in some olive oil. Carrots are universally known for their ability to improve eyesight thanks to their beta-Carotene content, but they’ve also made out a list of high-protein veggies, although they will only play a small part. In addition to the protein they contain, they are also a huge source of Vitamin A. Vitamin A is an antioxidant that is known for its ability to help the immune system, much like the well-known Vitamin C.
As you’ve seen, vegetables may not be the strongest source of protein you can find, but if you eat an assortment of them they could contribute as much as a quarter of what you need for the day, and you can make up the difference with meats or other vegetarian sources of protein to get the rest of the way there. 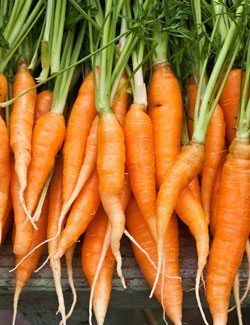 How to eat more of foods rich in Protein: Carrots make a great addition to a roast, which is why you’ll often see them roasted up with potatoes and beef for a classic meal. You can also add them to a salad or simply munch on them directly from the bag if you buy the baby carrots. This is terrific information. It can be used right away…..Simple and Healthy.